Minnesota Women Lawyers hosts several signature networking events throughout the year featuring high profile keynote presentations. All MWL members, the legal community and guests are invited to join us. Scholarship funds may be available for specific events and programs. For more information, please contact Executive Director Debra Pexa. The Rosalie Wahl Leadership Lecture was first established in 1994 by Minnesota Women Lawyers to honor the career of Justice Rosalie Wahl, the first woman justice to serve on the Minnesota Supreme Court, on the occasion of her retirement from the bench. The goal of the Wahl Leadership Lecture series is to feature women whose decisions and abilities inspire the leaders of tomorrow just as Justice Wahl has inspired so many of us. Proceeds from the event help support the Wahl Leadership Lecture Fund, established through the Minneapolis Foundation. MWL was honored to welcome Elaine Weiss as our 2018 Wahl Lecture keynote speaker on November 5, 2018. Elaine is an award-winning journalist and writer. Her most recent book, The Woman’s Hour: The Great Fight to Win the Vote details the nail-biting climax of one of the greatest political battles in American history; the fight to ratify the 19th Amendment to the U.S. Constitution, granting women the right to vote. The Woman’s Hour is also set to be adapted into a television series, produced by Steven Spielberg and Hillary Clinton. Elaine’s Wahl Lecture presentation was titled: The Women Who Dared. From Elaine: "The 19th Amendment placed women’s right to vote into the U.S. Constitution—but that simple legal acknowledgement that American women were entitled to full citizenship did not occur naturally: it required three generations of activist women, fighting in more than 900 campaigns, over more than seven decades. Women were not “given” the vote—they fought for it—using all the legal—and even illegal—means at their disposal; they faced mobs, condemnation, arrest, and imprisonment. The suffragists’ legal and publicity strategies would become a model for civil rights campaigns to come; they have valuable lessons to teach us now, as we struggle to protect voting rights for all." 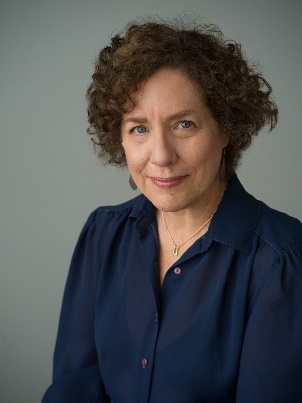 Elaine Weiss is an award-winning journalist and writer. Her magazine feature writing has been recognized with prizes from the Society of Professional Journalists, and her by-line has appeared in The Atlantic, Harper’s, New York Times, Boston Globe, Philadelphia Inquirer, as well as reports and documentaries for National Public Radio and Voice of America. She has been a frequent correspondent for the Christian Science Monitor. *Details about the 2019 Conference will be available in early 2019. Minnesota Women Lawyers was pleased to present The 2018 MWL Conference for Women in the Law on Friday, April 27th, 2018 at the Hyatt Regency Hotel in downtown Minneapolis. The goals of The MWL Conference are to collaborate across MWL’s statewide legal community, to provide high-value programming of interest to our diverse membership, and to create meaningful networking opportunities. All members of Minnesota’s legal community are welcome to attend. The 2018 MWL Conference was highlighted by keynote presenter Michele Coleman Mayes, Vice President, General Counsel and Secretary for the New York Public Library. Previously, Ms. Mayes served as Executive Vice President and General Counsel for Allstate Insurance Company and for Pitney Bowes Inc. She also served as Chair of the Commission on Women in the Profession of the American Bar Association from 2014-2017. The MWL Conference also features a full day of programming, geared towards the diverse practice areas and experience levels represented by MWL's membership. This luncheon event will offer an opportunity to take a look at the past year and at the year ahead. We’ll elect our 2018-2019 Board of Directors, and we’ll honor our 2018 Annual Award recipients. Plus, this event is always a fabulous opportunity to catch up with colleagues and friends! We hope you’ll join us to celebrate our past accomplishments and plan our future successes.